No matter what the wig salesperson told you, wigs need to be maintained. Some wigs require less effort to maintain their original look and feel, but almost all of them need some bit of care. 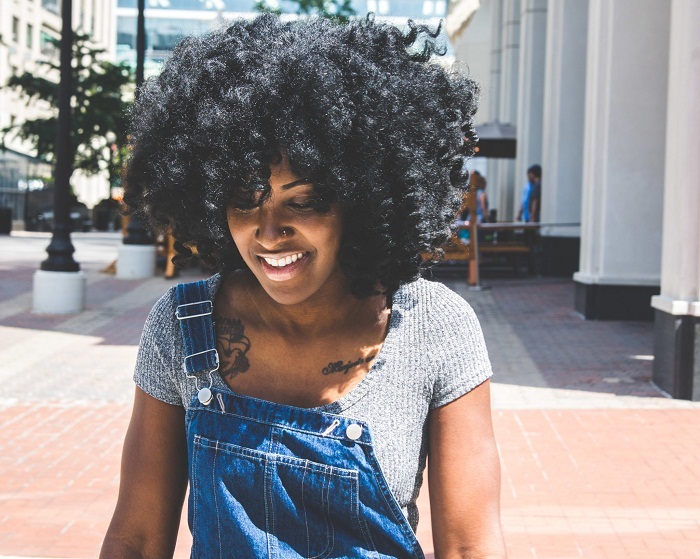 If you own one or more curly wigs, then you probably know already these demand more attention and care than long straight wigs. Curls have a tendency to unfurl over a period of time and develope ugly frizzes. In this post, we talk about the best washing and drying practice for curly human hair wigs. Washing and Drying: Washing a curly wig at regular intervals is an absolute requirement. Unwashed dry curly wigs tend to look frizzy and dull. It’s also important to remember heavy curls such as Brazilian curly hair wigs take a lot of time to dry. This means if you are planning to wear the wig at a party, it’s best you wash it a few days early to allow it to dry up completely. The kitchen sink is really the best place to wash the wig. Make sure the sink is completely clean before you start because you don’t want the strands of the hair picking up food particles and other debris. Also, ensure you use warm water (not scalding) to clean the wig. Once you prep the cleaning area, start by wetting the wig under the faucet. Once it’s drenched, you can use a wig shampoo or a shampoo with moisturizer. You don’t want to use a whole lot of shampoo because, shampoos tend to dry out the wigs, which can lead to a frizzy look. Rub the shampoo gently down to ensure it’s evenly spread throughout the wig. Some people use dishwasher soap to clean curly wigs instead of shampoos. That’s often discouraged by wig experts, especially if you own an expensive human hair curly wig. After applying it thoroughly, rinse off the shampoo. Now, it’s time to apply a conditioner. Apply copious amounts of hair conditioner and run your fingers downwards through the hair to ensure it’s thoroughly applied. This prevents the hair from tangling. After allowing the moisturizer to work its magic by letting it marinate for a few minutes, it’s time to rinse it off. Gently squeeze and then shake the excess water off the wig and lay it down on a soft microfiber towel. Pat dry the hair gently without rubbing it. Use a Denman brush to detangle the hair gently and then let it air dry on a wig mannequin head or a stand. Now, this may take a while, but it’s important not to lose patience. You don’t want to speed up the process by blow drying it or exposing the curly wig to direct sunlight. Is It Necessary to Use Leave-In Conditioner on Curly Wigs? Any kind of hair moisturizing product works really well in maintaining the look of curly wigs and leave-in conditioners are not an exception. If you don’t have time to wash your wig, you can spray the conditioner on and use a comb to spread it evenly. You can even apply spray conditioner after you have washed the wig to give it an extra dose of conditioning. To answer the question, it’s best to keep a leave-in conditioner handy if you own a curly wig.